The STIHL MS 362 is a powerful mid-range chain saw for serious home users and even professionals. With a remarkable power-to-weight ratio of 1.8 kg/kW, it is a great tool for all types of forestry work. 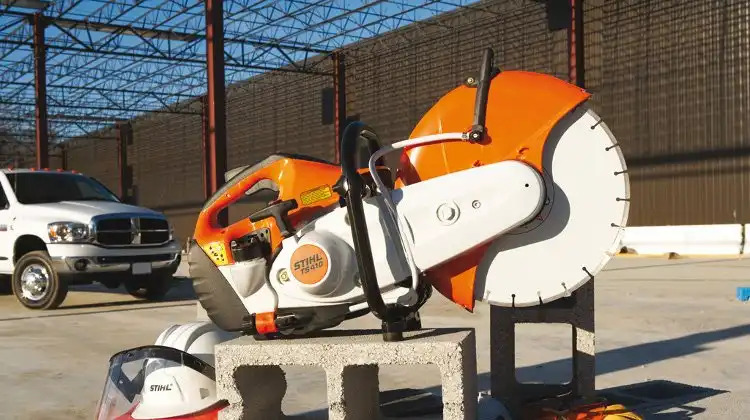 Modern technology makes the STIHL MS 362 chain saw more fuel-efficient and environment friendly. Its advanced 2-stroke engine features a stratified charge system where the burned charge in the combustion chamber is separated from the fresh charge in the crankcase by a layer of air during the flushing process. This results in up to 20% less fuel consumption and 50% less exhaust emissions. It also means greater engine power in a relatively lightweight machine. The advanced combustion technology in the MS 362 also contributes to its fuel economy and great performance. The STIHL MS 362 is very user-friendly too. The long-life air filtration system has a cyclone air routing system that expels 80% of the dust particles sucked in, instead of trapping them in the filter and clogging it up. This reduces the frequency of having to clean the chain saw filter. Other great characteristics include ElastoStart and the Anti-vibration system. The former decreases compression shock during start up and the latter lessens vibration when the chain saw is in use. If you’re interested in the MS 362, you might also want to check out other variations like the MS 362 C-Q which showcases the QuickStop Super Chain brake as an added safety feature; the MS 362 C-B that makes chain adjustments simple with Quick Chain Tensioning; and finally, the MS 362 W which comes with heated handles that are really useful on cold days.